Allyn Clarke is a Research Scientist in the Ocean Sciences Division, Department of Fisheries and Oceans at the Bedford Institute of Oceanography. He holds a BSc (Honours) in Physics and Chemistry (1965) and a MSc in Applied Mathematics (1966) from University of Toronto and a PhD in Physics (Oeanography) (1970) from the University of British Columbia. 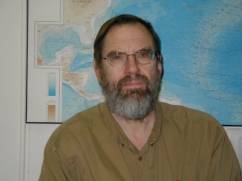 His research focuses on the circulation of the high latitude North Atlantic and its role in the global climate system. His research papers include both theoretical and observational results. He has been very active in the planning and co-ordination of international Climate Science. Over the 1990s, he was the co-chair and chair of the international Scientific Steering Groups for both the World Ocean Circulation Experiment (WOCE) and the Climate Variability and Predictability Program (CLIVAR), member and vice chairman of the Joint Scientific Committee for the World Climate Research Programme (WCRP), member of the Joint Scientific and Technical Committee for the Global Ocean Observing System (GOOS) lead author in chapter 2 of working group 1 of the Third IPCC Assessment and a co-opted member of the executive of ICSU’s Scientific Committee for Oceanic Research (SCOR). Within Canada, he has played a variety of roles in the planning and implementation of Canadian contributions to these climate and global change programs. He has recently returned to the bench after serving as Manager of the Ocean Sciences Division in Maritimes Sciences Branch in Fisheries and Oceans. His challenge over the next few years will be scheduling his annual spring survey of the Labrador Sea around the CMOS Annual Congress dates.